The event will be all day from 8am11pm with drag entertainers, cannabis industry vendors, UW researchers, and the famous Cucina Buena food truck. Raffles will be happening every hour, featuring stacked gift baskets with gear from brands like Piece Water, Rez Rid, and Amber Brick. There will also be complementary henna by Henna by Natasha, sponsored by Seattle Gear and Khush Kush. This store, located at 2728 3rd Ave S. Seattle, is t he first of its concept and the perfect accompaniment to the booming cannabis market. “I’m excited,” continues Christina, “to open a store that is everything marijuana and hemp, without actually selling the marijuana. 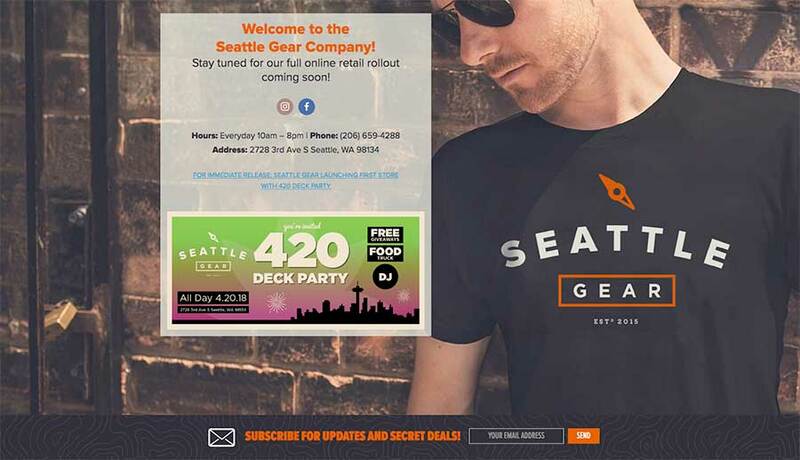 I’ve always been drawn to the ‘pot themed’ novelties when I go shopping, and now they are all in one store!” The sleek new space will feature swag from Washington cannabis farm favorites like Phat Panda, Artizen, and Legion of Plume, as well as carefully procured art, glassware, jewelry, hemp products, and more. 420 has long been known to be the unofficial holiday of cannabis. “I t is t he national day of weed,” says Dr. James Lathrop, CEO of Cannabis City. Dr. Lathrop’s store, the first pot shop in Seattle, has given his employees 4/20 holiday pay since opening their doors in 2015. Cannabis City is located conveniently next door, and both businesses plan to have incredible specials. Be sure to check out www.cannabiscity.us for specials and preordering before heading to the festivities!